Finished the book overnight. The book is really good works of Henry Haggard though some parts made me feel bored. 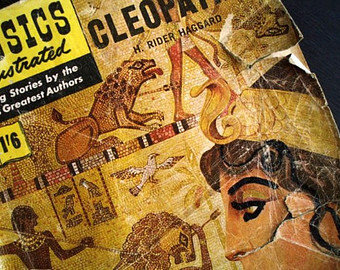 The first part, plan of killing cleopatra by harmachis, was quite thrilling. And the second part, starts when harmachis fails to kill cleopatra, was not good as the first part. It describes how harmachis falls for cleopatra and how cleopatra uses harmachis to get treasures from pyramid. Therefore the third brings the thrill back. It describes how harmachis escapes and how he changes his identity and returns back to Alexandria to get revenges. Nevertheless, first part was best and and the writer wasn’t able to persist the thrill as the way it should be. Antony the lover of cleopatra should have given more priorities. Overall, as the main character is cleopatra. Writer was fully able to describe her. Furthermore, i feel sorry for charmion. If i were in the place of harmachis then i would take her with me while escaping after being betrayed by cleopatra.